Humidity is water vapor which exists in the air, almost all air particles actually hold water, but in some cases they hold a great deal more than normal. This additional water in the air can be a result of heat arriving after a rain shower, water vapor as a result of people talking in a confined space such as car or owing to evaporation of water into a gas like state. There are a great many industries which must regulate the amount of water which is in the air in order for them to avoid issues, and in order to measure how much humidity is in the air, we use humidity sensors or a digital humidity sensor. These sensors are highly sensitive and they can give weather companies and a whole number of businesses and institutes, an accurate reading of how much water is in the air. Let’s have a look at some of the basics of these sensors. 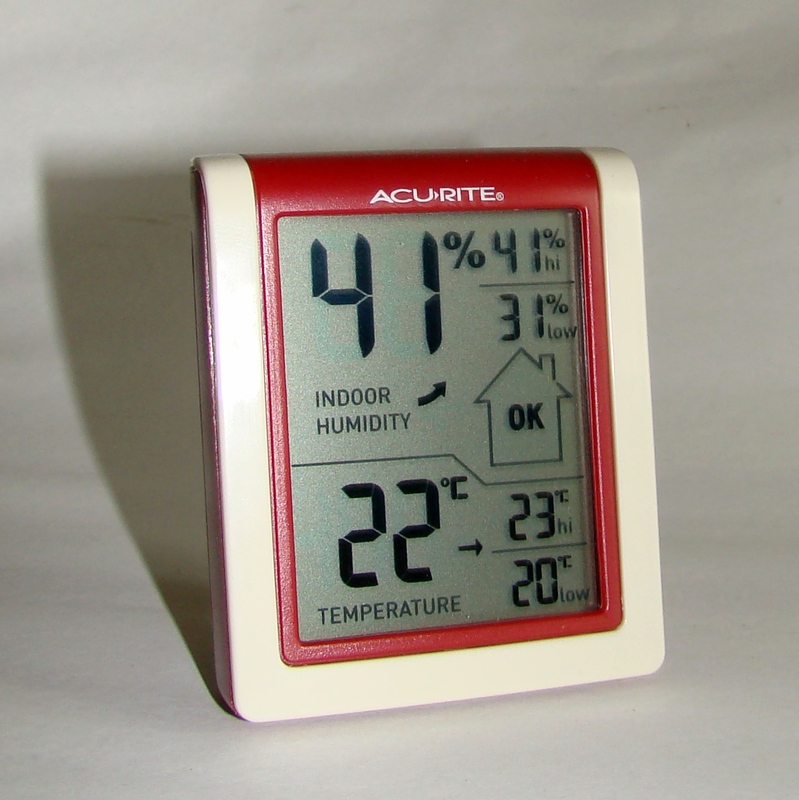 A humidity sensor or a hygrometer, measure both moisture in the air, and the temperature of the air. In order to measure how humid this air is, or how much water is present, these sensors measure relative humidity which is the ratio of moisture in the air, at its highest amount at a particular air temperature. Relative humidity is the reading that a digital humidity sensor will give you. These smart sensors work through the detection of changes that may change electrical currents or temperature in the air. Humidity sensors fall into 3 categories, capacitive, resistive and thermal. Let’s have a look at what each one does. Capacitive – These sensors measure relative humidity, thanks to a small strip of metal oxide sat in between two electrodes, which then measures the changes to moisture in the air. Resistive – A resistive humidity sensor will use the ions in salts in order to measure the electrical changes in atoms. When the humidity changes, so too does the resistance of the electrodes. Thermal – In this case two thermal sensors react to the changing humidity by conducting electricity. One of the sensors will be in covered in dry nitrogen and the other will measure the ambient air, the difference between each sensor gives the indication of the level of humidity which is present. If you are in need of a humidity sensor then it is important that you get the right product for your needs. Whether you are looking for this to use with HVAC systems or any other piece of apparatus, there are some keys to getting the choice right. Accuracy – Naturally you will want a sensor which is the most accurate that it can be. Reliability – Some lower cost digital sensors can have ups and downs when it comes to their results. Response Time – The response time on a sensor is measured by how fast it rises to 66% (the rise time) and how swiftly it falls to 33% (the fall time). Repeatability – Measurements should never drift apart from one another, they should be accurate each time, especially when it comes to the same reading.